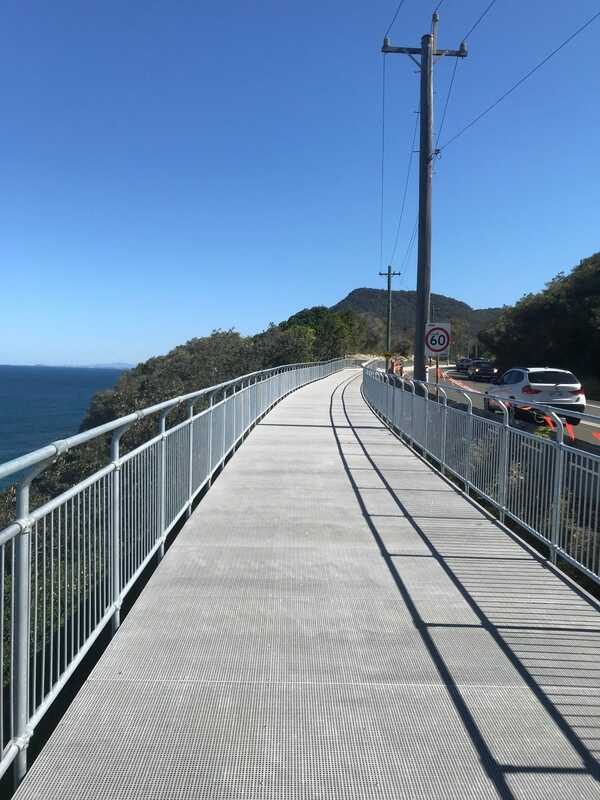 Abergeldie was engaged by Wollongong City Council as head contractor to construct a scenic, coastal shared pathway between Coalcliff and Stanwell Park, parallel to the Grand Pacific Drive. 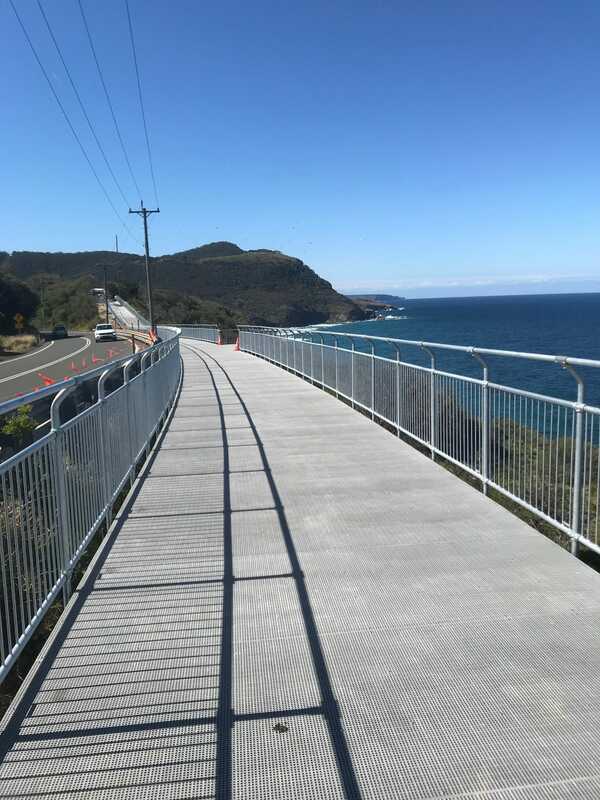 Abergeldie provided project management, civil construction, bridge and elevated walkway construction, hard and soft landscaping and temporary traffic management services. As the project proceeded, Abergeldie also made significant inputs to redevelopment of the design of some of the steeper sections of the pathway. Works had to be undertaken immediately adjacent to a busy, live main road carrying heavy traffic flows, particularly during morning and afternoon peak hours. 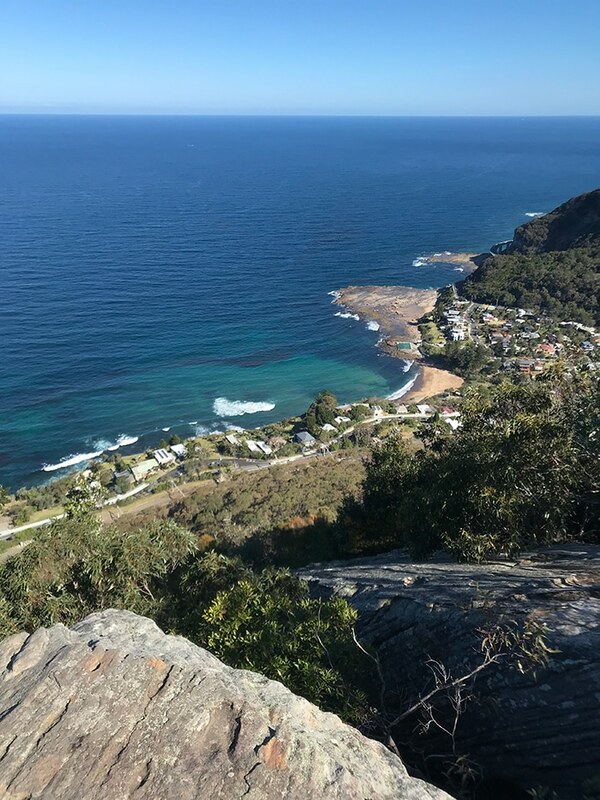 As the main road is the only through route along the coastal strip below the escarpment, it was not possible to divert through traffic without detours involving very long additional distances. RMS therefore proscribed restrictions limiting construction activities affecting traffic to only 6 hours per day. During the restricted period, temporary lane closures were necessary to enable trucks and materials to enter the work areas. However, for a seven-week period no lane closures were allowed, due to works by by RMS on the nearby Bulli Pass. During this period, works were restricted to one section where the roadway was wide enough to permit erection of concrete barriers to provide safe isolation of a working area while traffic passed by at reduced speed. A large portion of the works involved bulk excavation on the road verge, underneath overhead high voltage power lines, which restricted operation of plant and equipment. 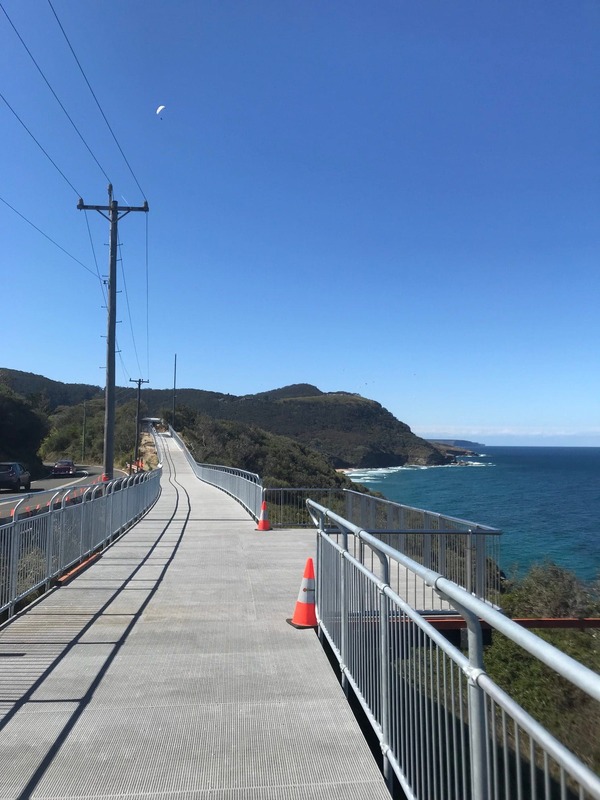 To avoid the need for an electrical outage which would inconvenience local residents, small excavators were used, assisted by spotters, and low height piling rigs were used to install 76 concrete piles along the cliff edge.